Name of the match is “Brains Vs. 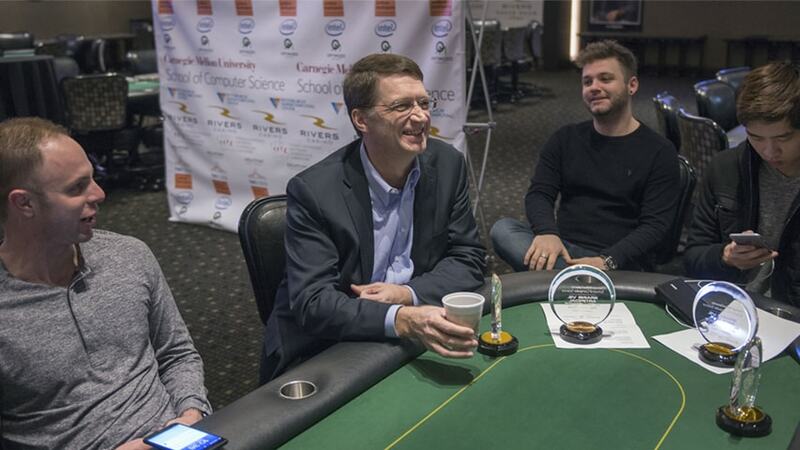 Artificial Intelligence: Upping the Ante” and it is taking place at Pittsburgh’s Rivers Casino. It will conclude on January 30. The following accounts – those of Dong Kim, Jason Les, Daniel McAulay and Jimmy Chou vs. Libratus, a fresh computer program of (CMU) Carnegie Mellon University, Libratus need to be followed to watch the game of the top pros. The Libratus, the computer machine has been introduced after completion of last year. In competition, Claudico was used; it was the program of Carnegie Mellon. Reason for the introduction of Libratus was that the, collection of chip by the computer program was less. It played 80,000 hands and it turned out to be less than three of the four players last year. The number of hands played was too less to determine whether a machine or man outwitted the opponent with statistical significance. This machine this time that will be used in the game will have more advance gaming conditions. Here, the professionals of poker will pair and go for playing the duplicate match. Here each pair of professional will receive the card similar to what the computer will have on the floor. And this will happen in each scenario. The changes in the game will give a fair chance to judge who is better between the machine and man. Moreover, the new pattern will give many spectacular moments to players as well as the viewers of the game to enjoy.